Discussion in '1940' started by Drew5233, Oct 18, 2010. 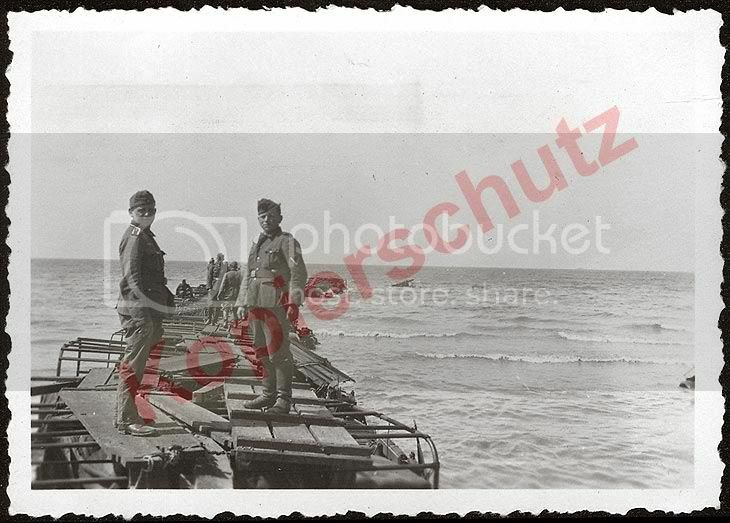 I've read several conflicting accounts of the first Ad-Hoc pier (Example Below) being thrown together on the beaches to help with the evacuation of the BEF being the idea of a CMP officer and a Royal Engineer Officer. Anyone know who's idea it was and more importantly the unit? Elements of the company constructed two piers for the embarkation of personnel, using abandoned vehicles and timber. This was the last engineering task in France and the company now considerably split up, were evacuated to England during the period June 3/5. The company reformed at Sutton Venney near Warminster.only 60% were of the original Company. Shortly after reforming, the Company was inspected by HM King George V1. Until the end of 1942 coastal defences were constructed at littlehampton and Swanage and combined Ops training with 8th brigade on the Isle of Wight. Extract from 246th Field Company RE History. Whats the source of the info? Is it a published history with a author? I only ask as the units war diary paints a slightly different account at Dunkirk. In Holland we tried everything to stop the dreadful loss of limbs due to Schu mines. To that end we introduced the "Garden Roller man a roller with spikes and a long handle to roll over the mines.. I knew that no one would believe me, so I sent for the war diaries... Cost me 76 quid. Well spent... in there it said "The garden roller experiment was a washout"
If you ever come down to East Dorset? by my guest and have a look for yourself. You are more than welcome. Notes: General List. Shown as CMP in LG. SIB & 102 Pro Coy BEF 40. SIB Egypt 41. APM SIB Southern Area Pro Coy. The RE of 1st Division built a jetty of 3-ton lorries driven into the sea at low water, close together, side by side, and with gangway planks over the canopy frames. This enabled men to be embarked dryshod, and for larger craft to pick up passengers direct. Similar jetties were built by other units, and, though the sea ends whipped about in an awe-inspiring manner at high tide, greatly assisted the work of embarkation. I have to say that it was ingenius as it served to evacuate the troops faster and the vehicles would not have been fit for further service after being emersed in salt water. Many thanks for that - Book ordered too. Shame he MiD isn't listed online at the National Archives. The credit for making jetties on De Panne beach from lorries is credited to Lieutenant Harold Dibbens, RMP. His company, 102 Provost drove the lorries onto the beach and they were held together and modified into a jetty by a group of some 30 Royal Engineers under the command of Captain E H Sykes. They tied the lorries together, slashed tyres and weighed them down with sandbags and heavy objects to stop them moving when the tide came in. 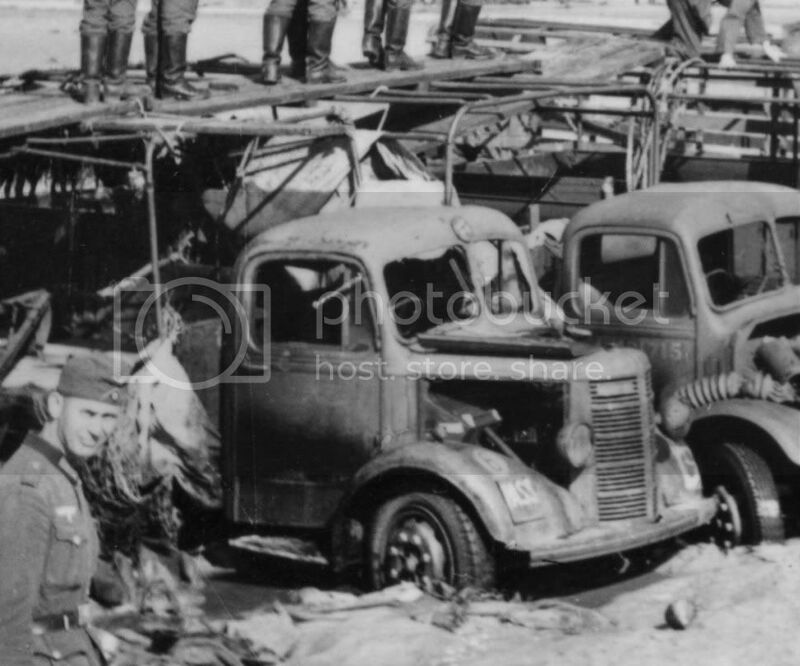 Planks of wood were lashed to the roofs of the lorries to enable soldiers to walk out to the waiting boats. The RE Museum states that the piers were built by engineers from 38th Field Company (5th Division) and 1st Division. 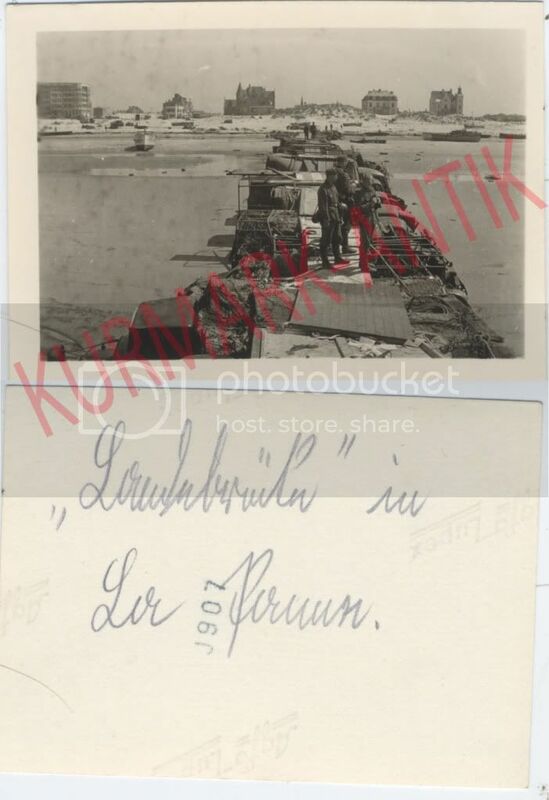 "38th Field Company (5th Division) built a 'lorry' pier, as did the divisional engineers of 1st Division." I can imagine that CMP, responsible for order on the beaches and getting men away would have been looking for ways to do that and they would have turned to the RE for advice. The engineers had bridging lorries which would have been the obvious solution but of course not enough of them. There seem to have been two piers at De Panne and two at Bray Dunes. Can anyone confirm this ? Since starting this thread I've been racking my brain of another account I read that it was a Royal Naval Officer who 'invented' the lorry piers. I maybe wrong but I think he was from Scotland and did quite a bit of sailing (I'm not thinking I may be talking about an Army Officer) and came up with the idea when he sailed across and saw all the men on the beaches struggling to get to the boats off shore. Dibben had previously been in the Navy, had sailing experience and served as a policeman. On the 29th, for instance, the practicability was considered of building piers on the beaches to facilitate embarkation, using lines of barges; but reports from ships that worked off the beaches showed that the very gradual shoaling of the water at all states of the tide would necessitate such piers being inordinately long, and beyond the resources available. Later in his report, Sub-Lieut. 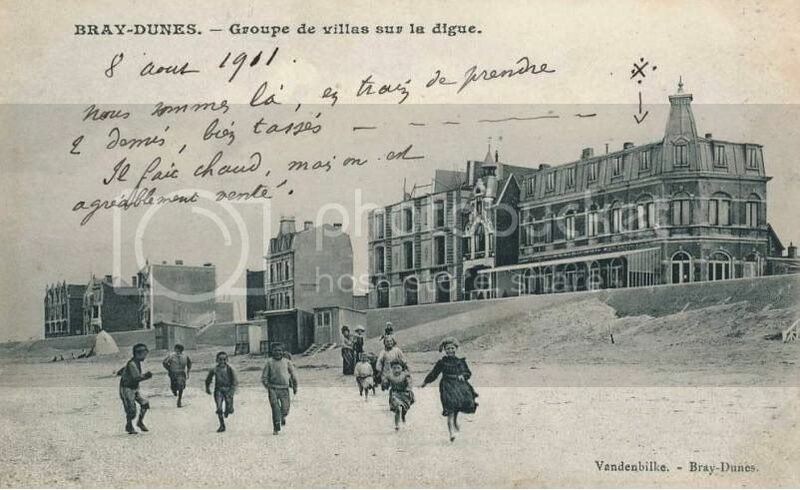 Crosswell says: I joined up with the Army Staff controlling evacuation-there was no other naval officers at La Panne. About 2300 . . . . I requested that piers should be built but was told nothing could be done that night . . . . Lord Gort arrived on the beach on Thursday morning (30th May) and asked what could be done to assist. I again suggested erection of piers, and under Colonel Porter's direction this was begun, the pier at La Panne being ready and in use at 1400. 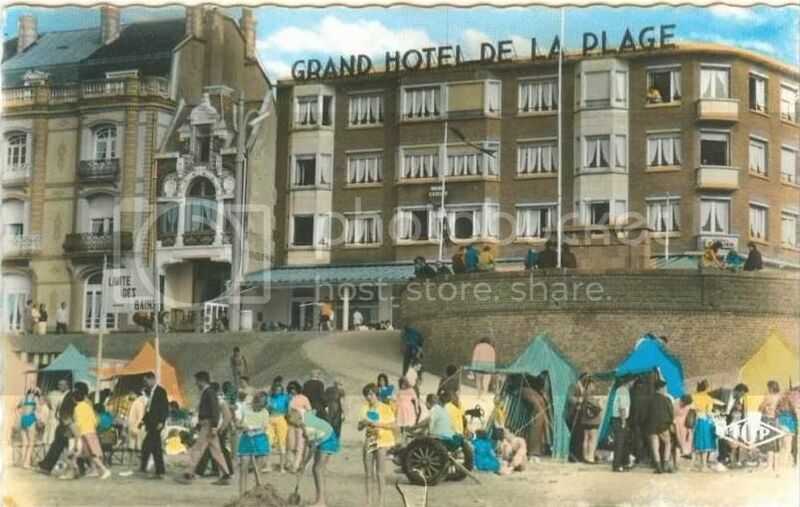 Work was commenced on a second lorry pier at La Panne by Lieut. Greatwood (The name Greatwood is not in the May 1940 Navy list) RN and the 12th Lancers who had been marshalling the beaches for the past 24 hours. Meanwhile, during the forenoon also, the sappers and troops of the First Division had built a long pier of lorries off Bray into the sea with plank decking. This was an excellent piece of work, and though not strong enough for use by heavy craft, nor even by small craft in a lop, it was invaluable later for embarking troops into small boats. A similar pier was commenced on the morning of 30th May at La Panne. See above. On the beach, however, Lt.-Col. Lumsden was told that on direct orders from the Commander-in-Chief he was to organize the embarkation points in that area. Tired and disappointed, the Regiment settled down to its new task under the black canopy of the smoke from the burning oil-tanks in Dunkirk. 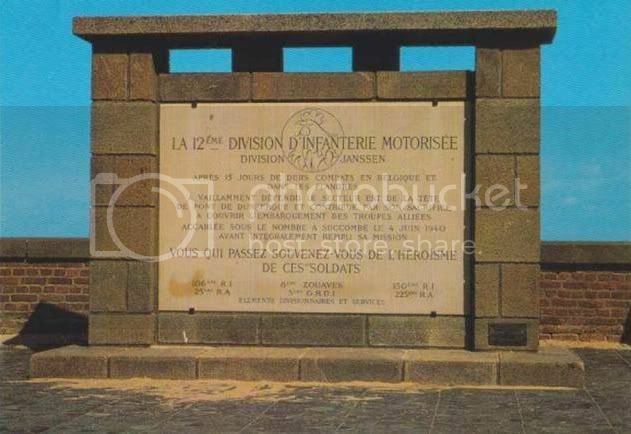 By 1 p.m. three embarkation points had been organized, all available rope, and folding boats had been collected, the waiting soldiers had been mustered, and 'A' Squadron had constructed a highly successful jetty of lorries driven into the water and connected by planks. By 1300hrs the Regt. had taken over and re-organised three embarkation points. They then assisted in the collection and forming up of M.T. 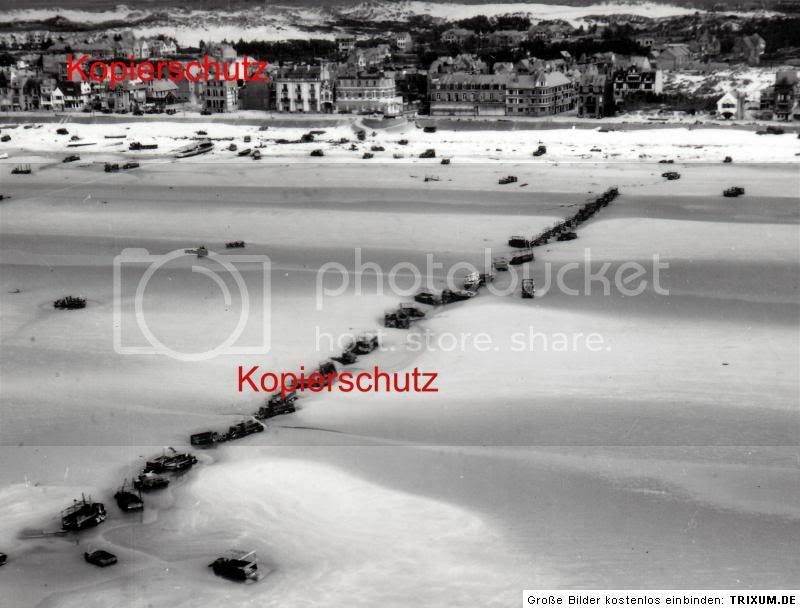 vehicles as a jetty on the sands and into the sea from which it would be easier to embark troops. Parties were also sent off to collect folding boats and rope from abandoned RE vehicles and those entering the bridgehead so that boats on endless ropes could be arranged to overcome the lack of watermanship in the troops embarking. The Version I have, where my former company built a pier of vehicles and timber was obtained from the RE Museum. The "Kursaal" building on the right hand side of this picture is the same building as can be seen on the left hand side of the first picture. The building is still there today, and can be seen in Drew's "now" picture in the first posting. So this is the second pier in De Panne! I like the way that the 4th Division Bedford has its AoS plate turned to read 'PASS'. It clearly wasn't going anywhere ! Interesting discussion. There is picture evidence of a further pier - at Malo Terminus. This time the vehicles are nose to tail rather than side by side. 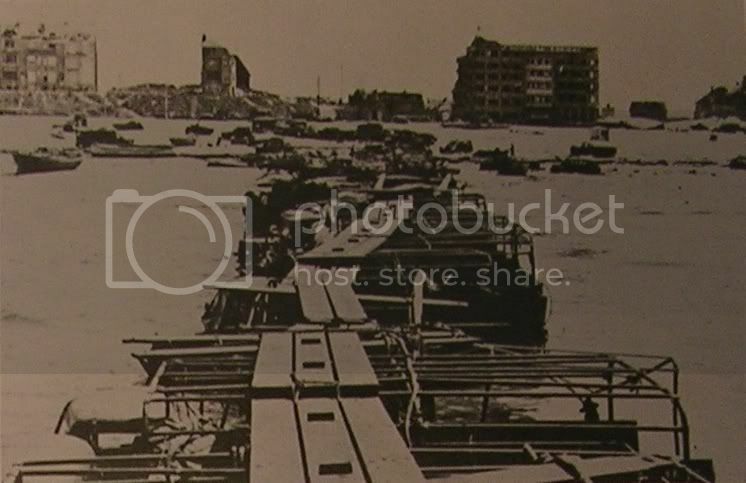 The pier starts from the Dunkirk side of the Malo Terminus casino and passes by the beached Thames barge 'Ethel Everard' - one of two such barges on the beach near Malo Terminus. Presumably built by another group of men?